People considering a cleanse as a diet plan for the first time may ask, "What can I eat on a detox diet?" The primary purpose of detoxification is to rid the body of toxins. Weight loss is often a "side-effect" but not the primary focus. This makes these diets popular for those looking for a way to jumpstart weight loss before going on a more traditional diet. 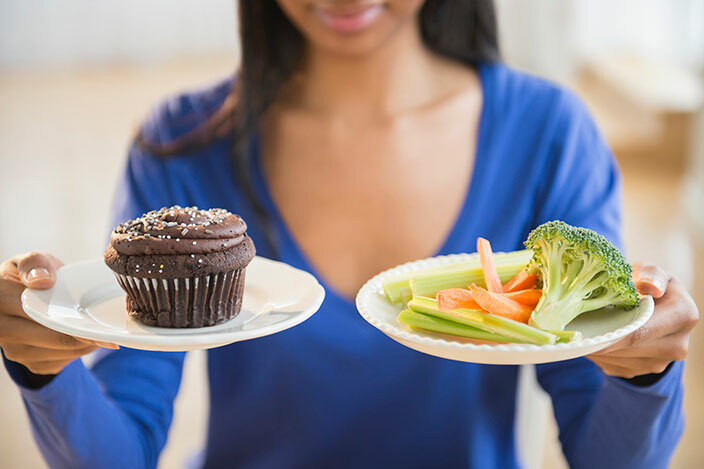 How you go about the detox process and what you can eat differs from one diet to another. Most detox diets are short term and last a week or less, while a few include whole foods and juices and are approached as a lifestyle change. The 7 Day Detox Miracle Diet takes a multi-faceted approach to detoxing the body. The first couple of days no food is eaten and the only liquid taken in is lemon water. In the remaining days solid foods like vegetables and brown rice are re-introduced slowly. By the seventh day a more "normal" diet is re-established. Along with the change in diet, the 7 Day Detox Miracle Diet also includes an external purging of toxins with sauna treatments done in your own shower. Additional supplements are also recommended by the authors of the diet, Drs. Barrie and Bennett. The 21 Pounds in 21 Days: Martha's Vineyard Detox Diet weight loss is a fast. The diet claims to promote benefits like more energy and lower blood pressure. While the name of the diet suggests a 21-day duration, dieters actually have a variety of choices from 2 days to 21 days. The diet consists of an antioxidant-rich berry drink in the morning, herbal teas, fresh vegetable juices, pure water, and a capsule containing an herbal cleansing formula. Before bed, an aloe vera supplement is taken. Light cardio vascular exercise is recommended. The Daniel Diet is considered a fast designed to cleanse the body both physically and spiritually. The premise behind this diet is found in the Bible in the account of Daniel when he is taken into Babylonian captivity. He refused to eat food from the king's table because he did not want to defile himself. This diet promotes a vegetarian diet including whole foods and pure water. It is only a fast in the sense that dieters eliminate some foods from their diet such as meat. The Fruit Flush Detox diet cleanses your system in three days. One thing that makes this detox plan stand out from others is that it includes lean protein. This helps the body burn fat instead of your body's precious muscle. Day 2-3: Eat fresh fruit every 2 hours with an evening meal of raw vegetables and a small portion of lean protein. The Lemonade Diet which is also known as the Master Cleanse Diet consists of a lemonade mixture made from pure water, lemons, maple syrup and cayenne pepper. Six to 8 glasses of this lemonade mixture daily is the only thing consumed on this diet which lasts anywhere from 7-21 days. The Hallelujah Diet promotes a vegetarian lifestyle supplemented with fresh juices and a green drink called BarleyMax. The diet encourages people to eat an 85 percent raw diet with a large salad and small amount of cooked food at dinner. The diet is promoted as whole-person health and is biblically based diet for life. What you can eat on a detox diet will depend on which plan you choose. Are you ready to give up solid food entirely or are you searching for a diet to follow for the rest of your life? No matter which detox you choose, the process of detoxification can bring about unpleasant short-term symptoms. These can include: headaches, nausea and vomiting, cravings, fatigue and irritability.